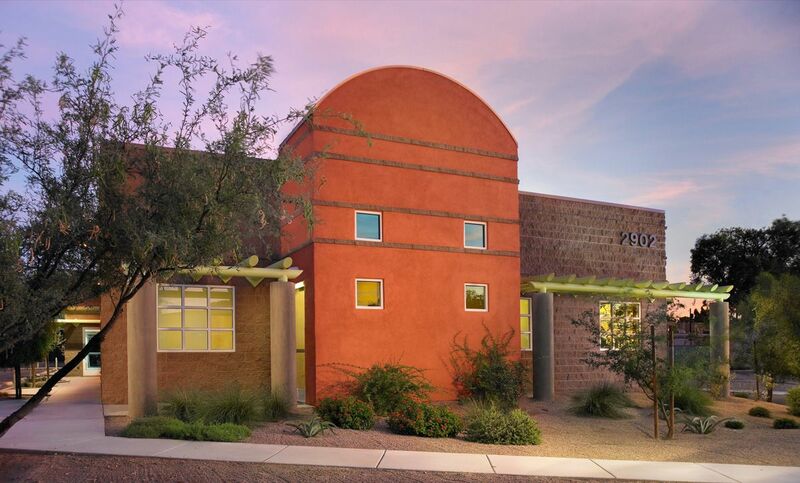 This medical building design by Podolsky is a free-standing 6,000 SF medical office building comprised of five doctor’s offices, ten exam rooms, library, ER room, allergy shots area, reception, restrooms and a break room. 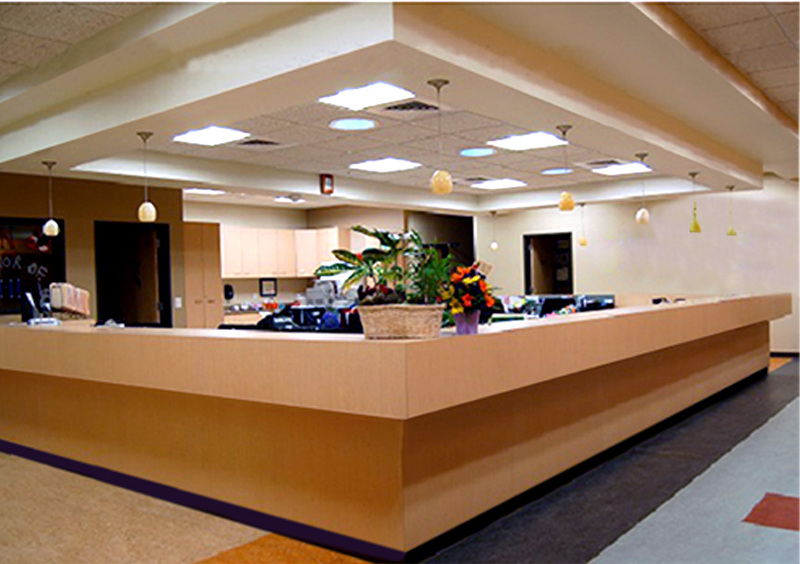 Superior quality interior finishes, as well as the use of color creates a relaxed atmosphere for the patients. 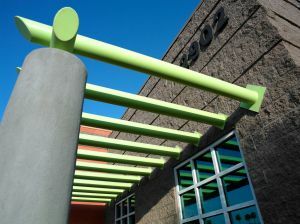 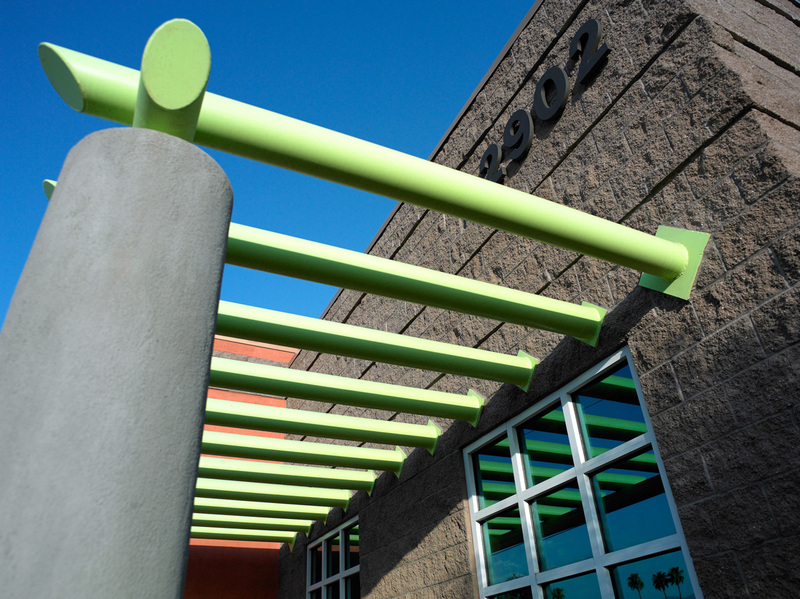 A high profile exterior was the design determinant as the project is located on a major street in Tucson. 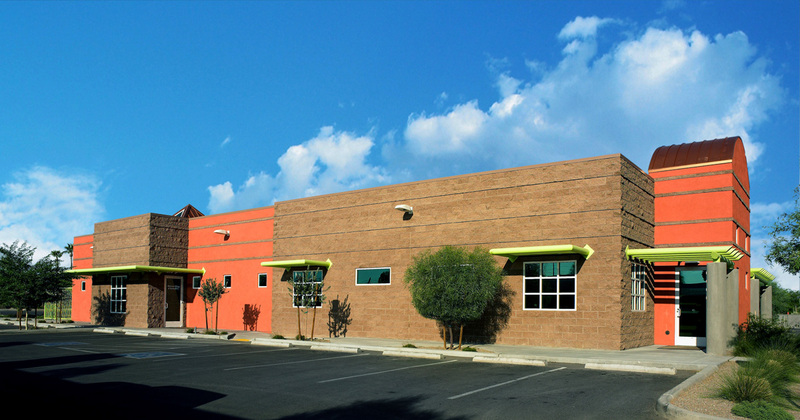 Masonry was selected as the construction material for sound abatement as well as durability and low maintenance. Podolsky designed this 13,300 SF medical medical clinic and office building in rural southeastern Arizona. The client’s design criteria demanded an open spacious atmosphere using natural light as much as possible. 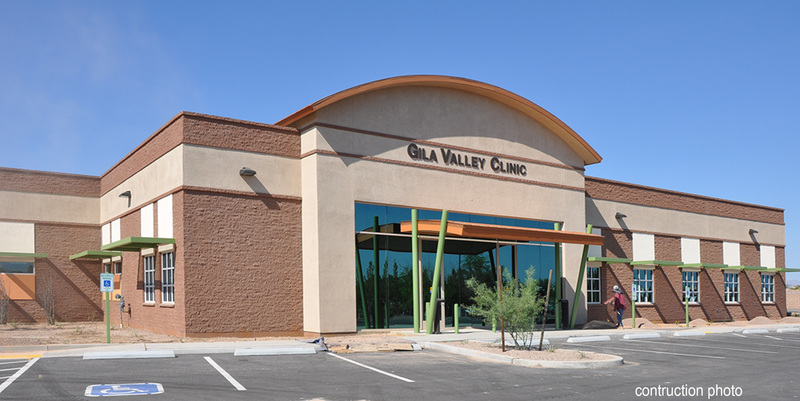 The clinic is a masonry structure designed to LEED standards. It consists of 24 exam rooms, 3 procedure rooms, a large lab, business offices, 5 large providers’ offices, and a break room connecting to an exterior patio. 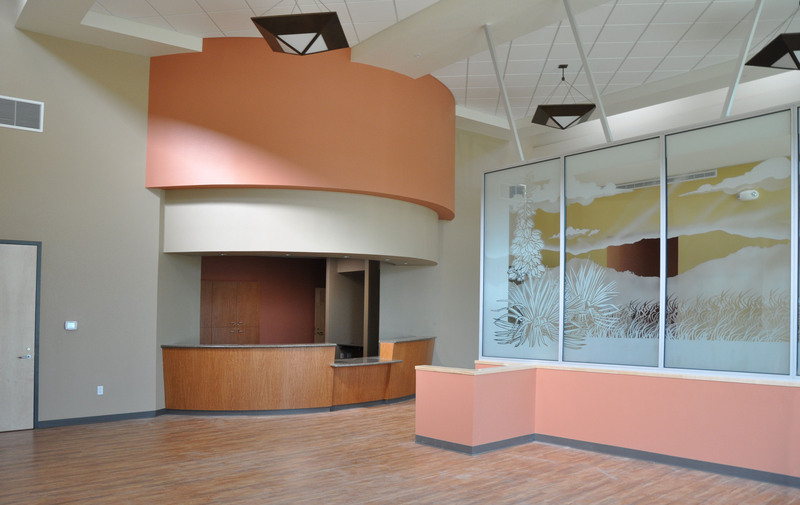 The lobby area, divided by glazing with a custom sandblasted mural, separates the adult area from the pediatric area. The lobby lighting is complemented by clerestory windows located 24 feet above the finished floor. 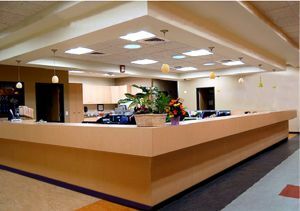 A large medical assistant station for 12 is centrally positioned to the exam and procedure rooms.